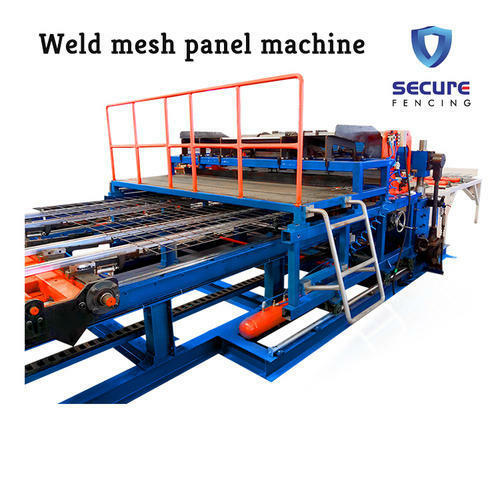 Our Automatic panel weld mesh machine comes with an automatic cross wire feeding system with auto-cutter customised to cut panel sheets of accurate lenghth and 0 error. Packaging Details All parts covered with thick polythene bubble wrap. With our all India service network, and upto the mark quality SECURE FENCING PRODUCTS is India's laregst company selling Fully Automatic Chainlink and Welded Wire Mesh Machines. Our high-tech factory automation systems not only increases the production but the qualtiy of the products as well. As a leading firm in the market, we are also engaged in Manufacturing and Supplying a broad range of Chain Link Fencing, Weld Mesh Fencing Sheets/Rolls and many more. These products are easy to use and have a very longer durability.